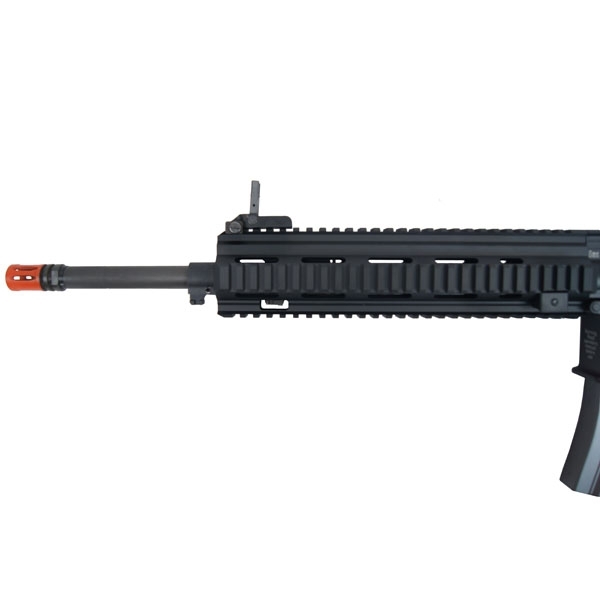 The Elite Force M27 IAR is one of the most realistic airsoft representation of the real steel H&K 416 IAR (M27). 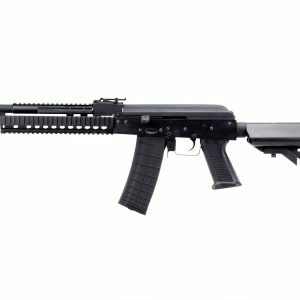 This gun is full metal and features officially licensed H&K trademarks on the lower receiver. 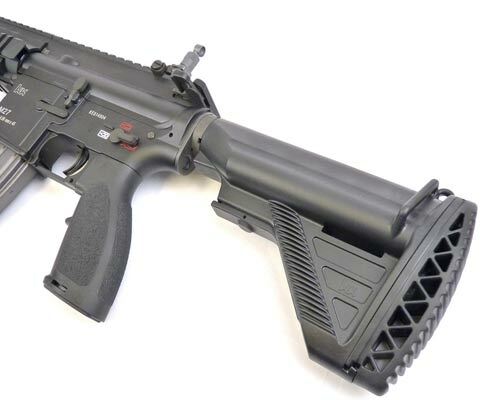 VFC followed up their excellent line of work in creating an excellent internal system for this AEG. 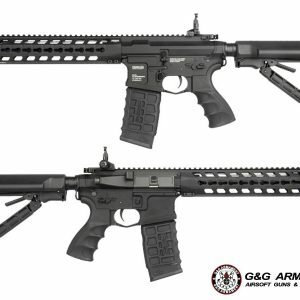 VFC’s custom pistol grip is slimmer to emulate a real gun pistol grip. 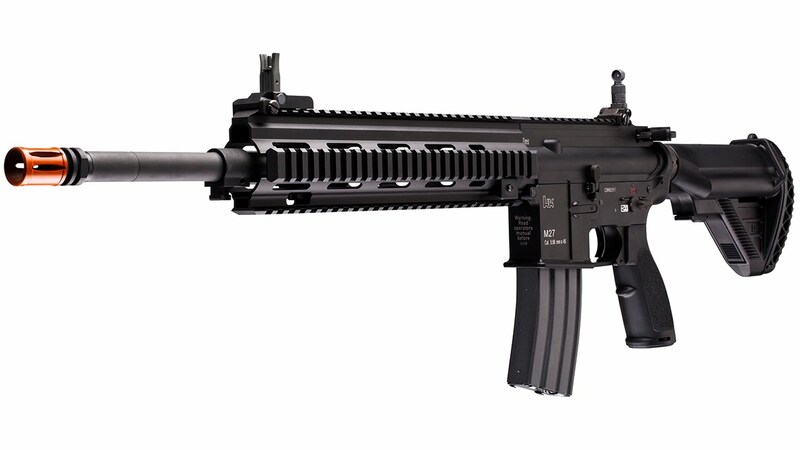 The H&K 416 IAR (M27) stock is a unique feature and comes padded to remain comfortable and secure to the shooter. 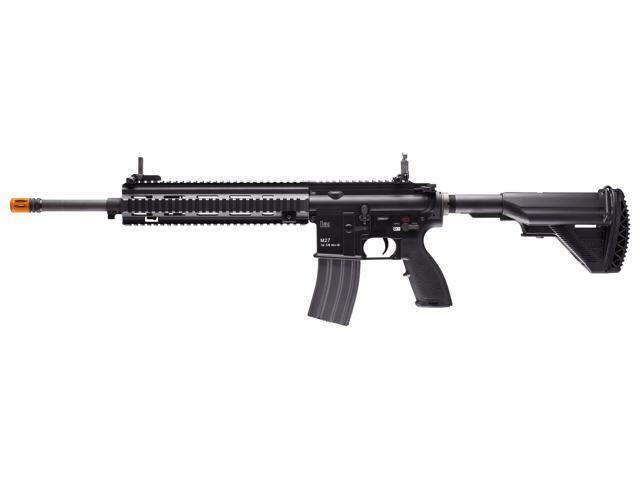 The Elite Force M27 IAR consists of an 11″ IAR Free Float Rail System, Steel Barrel, and an Enlarged Charging Handle for easy weapon manipulation. 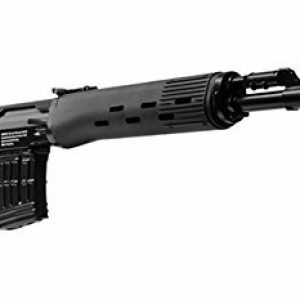 Overall this is a great rifle especially for those who have taken the support role in the field. 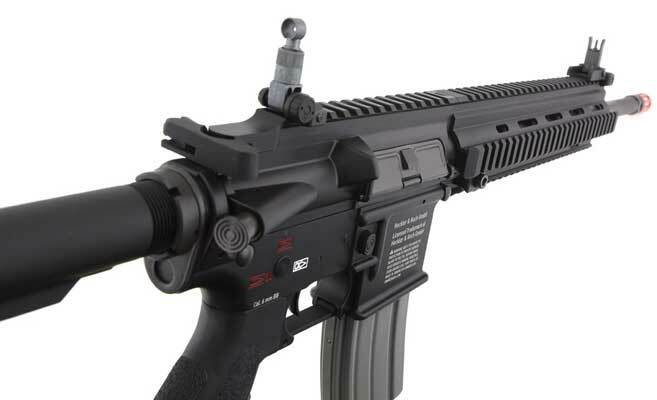 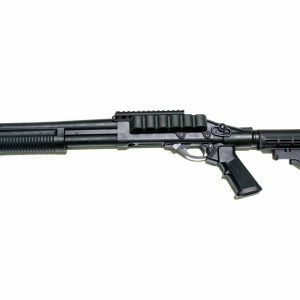 With the 11″ IAR free float rail system you are able to mount a number of accessories such as bipods and PEQ boxes to get that authentic IAR feel.